OUCET notification 2017 ou pgcet online application form hall tickets:Osmania University Common Entrance Test (OUCET) is a post graduate eligibility test conducted by Osmania University for admissions into various PG, OUCET Online Apply 2017,OU PGCET 2017 Notification,OUCET 2017 Notification,OUCET Online Application Form 2016PG diploma and Five year Integrated Programmes offered by Osmania, Telangana, Mahatma Gandhi and Palamuru Universities. Director , Directorate of Admissions has been successfully carrying out the gigantic task of conducting test and admissions to various courses offered by the University and its affiliating institutions since 2000-2001 academic year. Online Applications are invited from the candidates who have passed or appearing for the final year examination in the qualifying degree for entrance tests and admission into various P.G. courses, viz. M.A., M.Sc., M.Com., M.C.J., B.L.I.Sc., M.L.I.Sc., M.S.W., M.Ed., M.P.Ed., P.G. Diploma Courses and 5 yr. 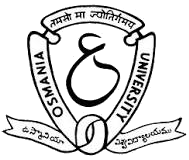 Integrated Programmes offered by Osmania, Telangana, OUCET 2017 Online Application OU PGCET Notification,Online Application Form Download of OUCET 2017,Notification for OU PGCET 2017,Mahatma Gandhi and Palamuru universities in their campus, constituent and affiliated colleges for the academic year 2017-2018. Registration Fee for a single subject is Rs.400/- for OC/BC candidates and Rs.300/- for SC/ST/PH candidates. For each additional subject, the fee is Rs.200/- for all categories. The fee may be paid at any TS/AP online centers or through payment gateway (Credit/Debit Cards) / Net Banking. For submission of online application and for further details, visit www.ouadmissions.com or www.osmania.ac.in. The candidate need to fill in all the details in the prescribed format only. The candidate fee should be paid either through Debit/ Credit card or Net Banking. Candidates are advised to send their oucet 2017 application form soon after officials released the link. By this Osmania University, OU PG entrance exam 2017 can join in any of the PG Courses offered by universities for the academic year 2017-2018. This entrance test is conducted for 100 marks except for Osmania University M.P.Ed course. For M.P.Ed. Course the ou entrance exam will be conducted for 75 marks and the remaining 25 marks will be for the Sports achievements of the candidates. You can also visit our site for other ou entrance exams 2017. Best of luck for the candidates who applied for this OUCET notification 2017, achieve your goal to pursue your career in top universities.